Take Action Today! Connecticut sportsmen should contact their state legislator and ask them to vote YES on SB 586 to permit a limited hunting season for bears. 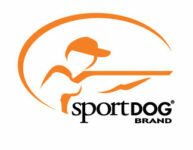 Connecticut members can contact their state legislator by using the Sportsmen’s Alliance Legislative Action Center. A bill authorizing a bear hunting season in Litchfield County, Conn., has been introduced to the Joint Environment Committee. Senate Bill 586, sponsored by Sen. Craig A. Miner (R- Litchfield), would be a welcome first step in creating a future statewide season. Black bear numbers continue to rise in Connecticut, as well as many other states along the Atlantic Coast from Maine to Florida. As bear populations continue to increase, so do the number of bear conflicts. The Connecticut Department of Energy and Environmental Protection (DEEP) reports that there have been 8,917 sightings statewide in just this past year alone. Without proper management, including hunting, property damage will increase, as will dangerous confrontations between bears and people or their pets. SB 586 will allow DEEP to manage the bear population in the county of Litchfield to effectively provide crucial information that the department needs to scientifically manage Connecticut’s thriving black bear population statewide, while also protecting public safety.